» #Holywatergate: The Theft of a Pope’s Beverage Rocks Washington, D.C.
#Holywatergate: The Theft of a Pope’s Beverage Rocks Washington, D.C. Sometimes the Internet completely lets you down. And then you have to do things to make the Internet aware of your disappointment with the hope that it never happens again. Last week, His Holiness Francis, Bishop of Rome, Vicar of Jesus Christ, Successor of the Prince of the Apostles, Supreme Pontiff of the Universal Church, Primate of Italy, Archbishop and Metropolitan of the Roman Province, Sovereign of the Vatican City State, Servant of the servants of God made a trip to the United States, beginning in Washington, D.C. When His Holiness Francis, Bishop of Rome, Vicar of Jesus Christ, Successor of the Prince of the Apostles, Supreme Pontiff of the Universal Church, Primate of Italy, Archbishop and Metropolitan of the Roman Province, Sovereign of the Vatican City State, Servant of the servants of God arrived in the nation’s capital (unclear if by BoltBus or Megabus; awaiting confirmation, check back for updates over the course of the year), he first went to the White House to meet with the First Family, followed by a parade, the midday prayer, and Mass at the Basilica of the National Shrine of the Immaculate Conception. He used to be known simply as Representative Bob Brady from Pennsylvania. That was until, like a villain in a Scooby-Doo episode, he used the diversion of “Pope” to steal the drinking glass used by His Holiness Francis, Bishop of Rome, Vicar of Jesus Christ, Successor of the Prince of the Apostles, Supreme Pontiff of the Universal Church, Primate of Italy, Archbishop and Metropolitan of the Roman Province, Sovereign of the Vatican City State, Servant of the servants of God. Bob did that. And then he kept going. Yes, he took it back to his Congressional Office Hideout, drank from it, and then passed it around like he got a free bottle of coconut Ciroc at the club. This is not why we’re here, however. I couldn’t care less about Congressman Bob Brady and what he steals. Or what he said was an approved steal. Or that he claims he’s going pay for it. Or that he admitted to His Holiness Francis, Bishop of Rome, Vicar of Jesus Christ, Successor of the Prince of the Apostles, Supreme Pontiff of the Universal Church, Primate of Italy, Archbishop and Metropolitan of the Roman Province, Sovereign of the Vatican City State, Servant of the servants of God that he did it. My concern is the degree to which this story was covered, ad nauseam, without bringing up the obvious origin story to his nefarious ways. Most stories reporting on his heist eventually were like, This isn’t the first time Brady has robbed someone more important; he also took Obama’s glass at his first inauguration. That’s cool and all, but again, it’s not the story. It’s the 12th episode of the seventh season of The Golden Girls. Titled “The Pope’s Ring,” the episode centers around Sophia stealing Pope John Paul II’s ring during his visit to Miami. 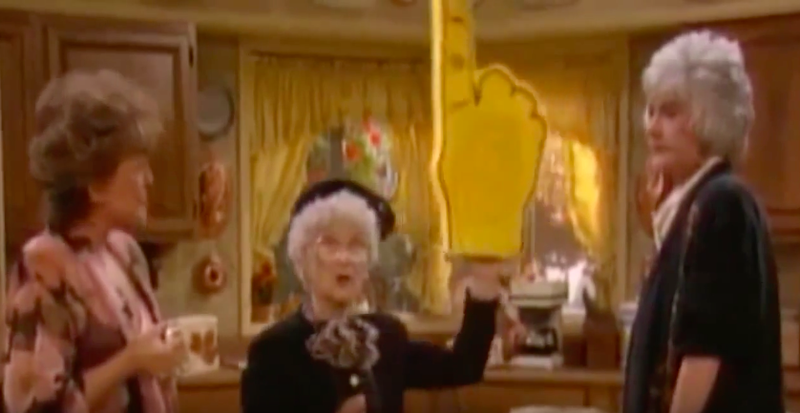 As you remember, Sophia and Dorothy have two tickets to the papal Mass, and Dorothy’s super excited, but then Sophia comes in and tells her she traded their two terrible tickets for one really good ticket just for her, so she can be closer to the Pope and ask him to bless her friend Agnes. 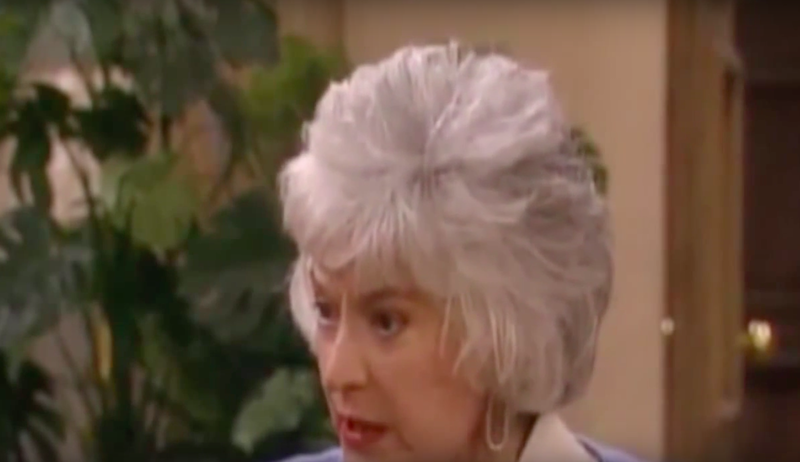 Blanche, hearing the story, is skeptical that Sophia will be able to get the Pope’s attention, until Sophia says she thinks she’ll get the Pope’s attention pretty easily. Sophia lost the Pope’s ring, which is certainly the only thing worse than stealing the Pope’s ring. 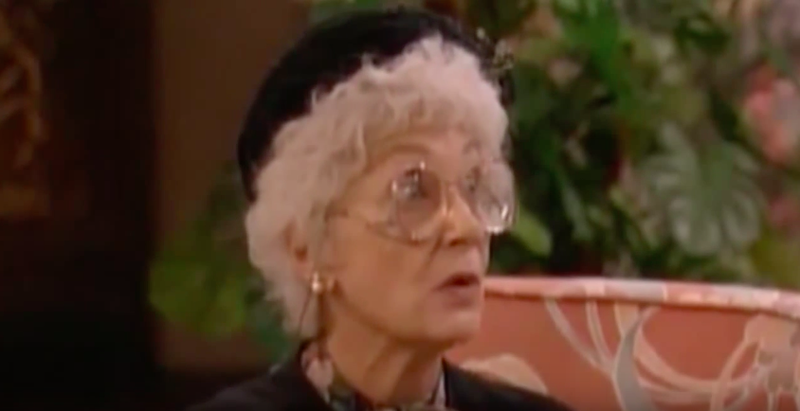 Dorothy helps Sophia look for the ring, and then has a weird hunch something is up. Questioning her mother, she suddenly threatens to flip her upside down and shake her and see what falls out of her pockets. At that point, Sophia pulls the ring out of her pocket. Sophia lied about losing the Pope’s ring so she wouldn’t have to return it, which is even worse than losing the Pope’s ring or stealing the Pope’s ring. Ultimately, Sophia’s absolutely blasphemous ways end, as she returns the ring to a priest, and then her friend Agnes actually gets a blessing from Pope John Paul II (played by Eugene Greytak, who also portrayed Pope John Paul II in Night Court, ALF, Sister Act, Murphy Brown, Naked Gun 33 1/3, Ally McBeal, and The Wayans Bros.). He visited the hospital that Agnes was staying in and gave her the blessing that Sophia sorely wanted, the thing behind all of her scheming ways. She’s a lot like Congressman Brady, except she does it for her dear friends and he robs Popes for his mantle of thievery. There is no moral to this story — I’m simply disappointed that our country’s foremost political bloggers don’t watch enough Golden Girls. That’s all. Good day.